George Winfield Glasgow born 4-7-1886 in Gibbs, Missouri and d. 1-25-1965 in Youngstown, Ohio. He was the son of William Glasgow and Anna Margaret Mitten . 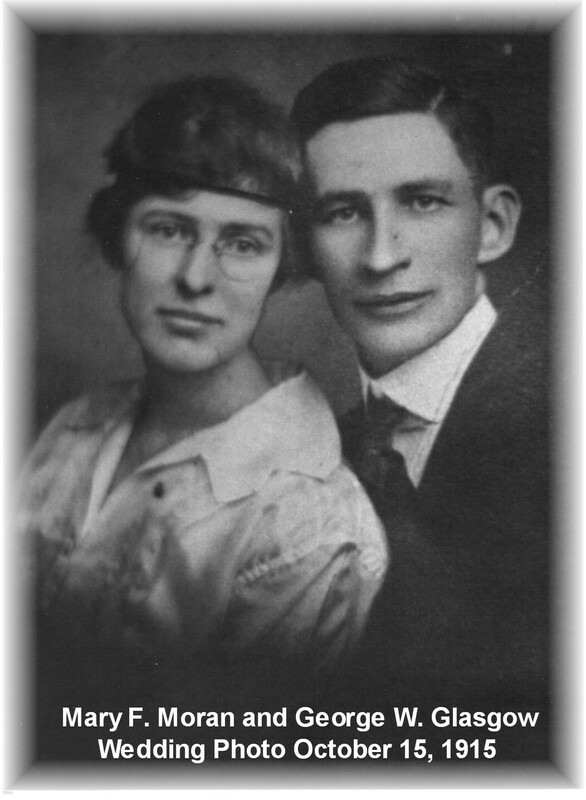 He married Mary Fahe Moran on 10-15-1915. Mary Eugenia Glasgow born 11-12-1917 and d. 9-9-1976 married Robert Ainslie Brook 10-15-1915. George Richard Glasgow born 11-27-1921 and d. 9-29-1988 married Laura Clark in 1946 and Lois Davidson 12-17-1960. 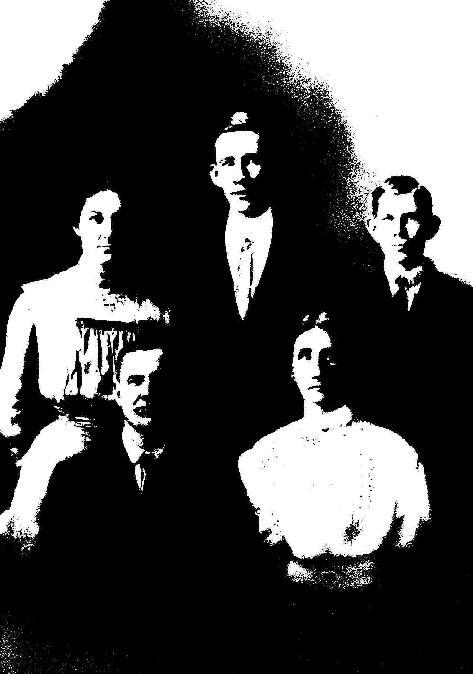 This is a Photo of William and Anna Margaret (seated) with Zelma, George and Homer standing behind them. Photo provided by Gail Shoush.